We’re loving the slick looks of this 2016 Whyte Stirling urban bike featuring a lightweight 6061 T6 aluminium frame with straight blade carbon forks, SRAM Rival 2 x 11-speed drivetrain and Tektro Auriga hydraulic disc brakes. This versatile hybrid would make a perfect ‘super-commuter’ or a fast ride to the pub / shops / station / local bike shop etc. – especially if you’re in the mood for taking ‘the long way round’! The 2016 Whyte ‘Fast Urban’ range is available from only £550 (‘Whitechapel’ & ‘Carnaby’) and this Whyte Stirling can be yours for only £999 (with 12 months 0% finance available). This entry was posted in Bike Hut Updates, Hybrid Bikes on February 26, 2016 by Erin Bike Hut. This entry was posted in Hybrid Bikes on June 14, 2013 by Erin Bike Hut. Ridgeback Rapide Velocity – A versatile and lightweight hybrid with a 6061 Aluminium Frame, Shimano 24-Speed Drivetrain, Continental Contact Tyres and Matte Graphite Paint Job. 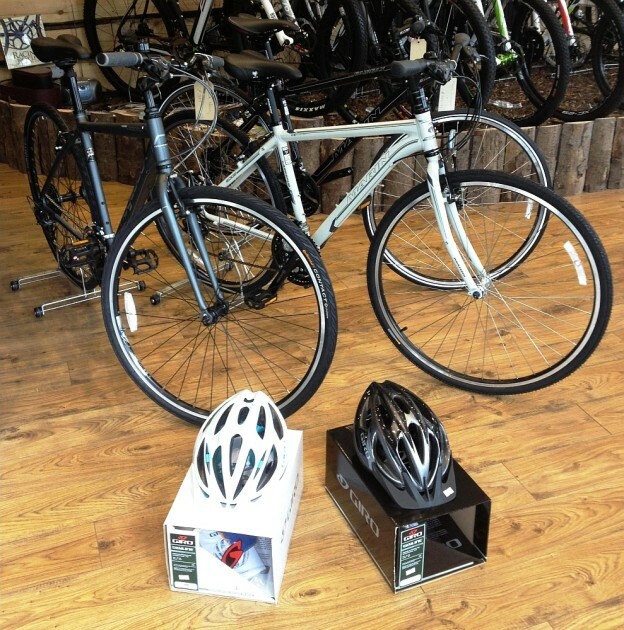 A perfect week day commuter or weekend lane explorer for only £349. This entry was posted in Bike Hut Updates, Hybrid Bikes on March 27, 2013 by Erin Bike Hut. Smart E-bikes are now available. Call us for more information today. This entry was posted in Bike Hut Updates, Hybrid Bikes on March 20, 2013 by Erin Bike Hut.